Last night I went to Target to pick up a few things - you know the necessities. Kombucha. La Croix. My favorite soap. Staying 100% Paleo sometimes is really hard, and I don't want to beat myself when the options are not there. After completing a lot of Whole30's and reintroducing certain foods back into my body - I know what does and doesn't work. I cannot eat gluten. When I eat it I get really bloated, my body aches, and I get really moody. Dairy isn't something I really care for, so giving that up for me was easy. Plus I notice when I do eat dairy, I break out. I have decided when I do "cheat" on Paleo, I will cheat clean and eat foods that are both gluten and dairy free. So, last night I picked up a few things. I love Udi's Gluten Free products. I picked up a loaf of their cinnamon raisin bread, and their whole grain bread. Sometimes I miss certain foods, and their products are really amazing. 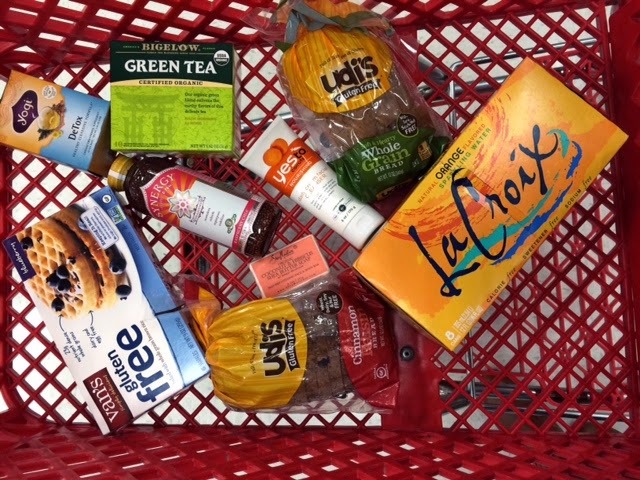 Also, Target is adding more and more healthy options to their stores!